Posted on June 16, 2016 by Barry V.
We’re in a protracted stretch of cool, rainy weather, but Spring only happens once a year, so seeing a possible break in the forecast, I head for the South Shore. It’s still raining as I arrive at the parking area for North Hill Marsh Wildlife Sanctuary, puzzled by the lack of Mass Audubon signs. I double check my directions and determine I’m in the right spot. 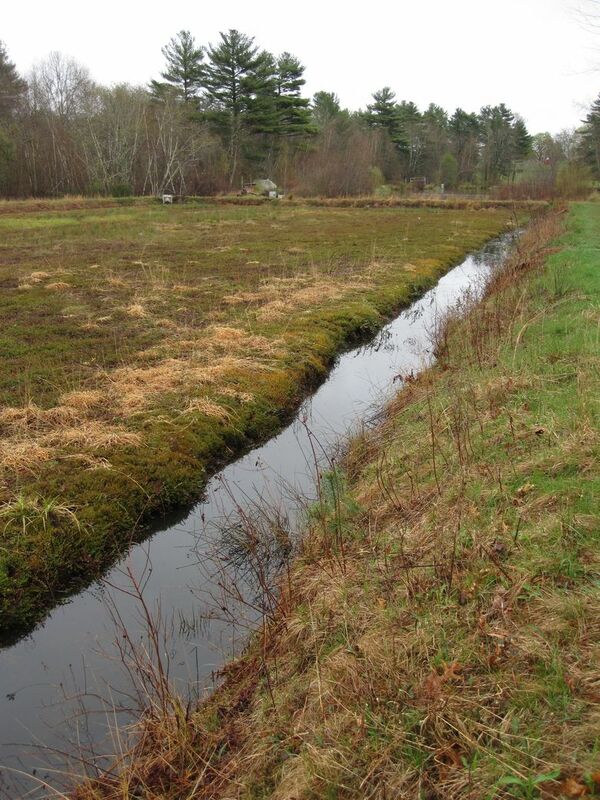 North Hill Marsh is part of Duxbury’s “Eastern Greenbelt”, and the portion owned and managed by Mass Audubon is part of a larger reserve – most of it owned by the town of Duxbury. 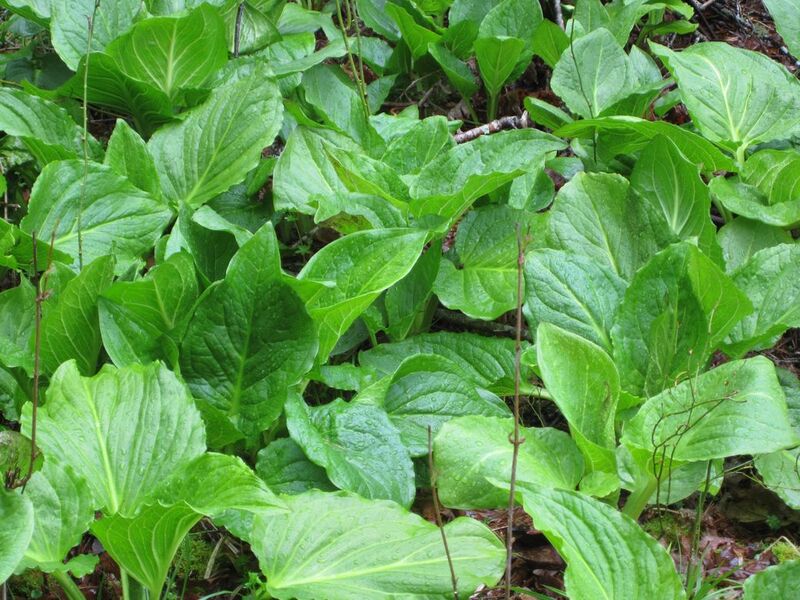 To access the sanctuary, I follow trails through Duxbury Town forest – thus the lack of Mass Audubon signage. 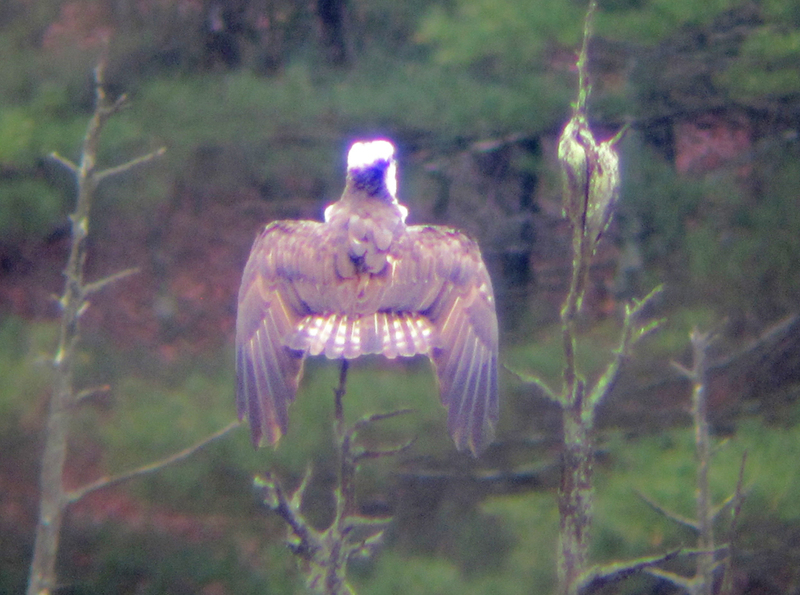 At the observation deck overlooking the marsh, I immediately hear the high-pitched chirps of an osprey, and locate three birds perched on dead trees along the eastern shore. One bird displays an odd posture with wings dropped, tail raised and spread. It looks like an attempt to dry the wings, or more likely to rinse them out in the light rain! The other birds also look abit unkempt and forlorn in the drizzle. The perimeter trail to the south is closed, so I hike up along the western shore. An open pine grove (just north of the observation deck) offers better views of the birds, but little protection from the rain. 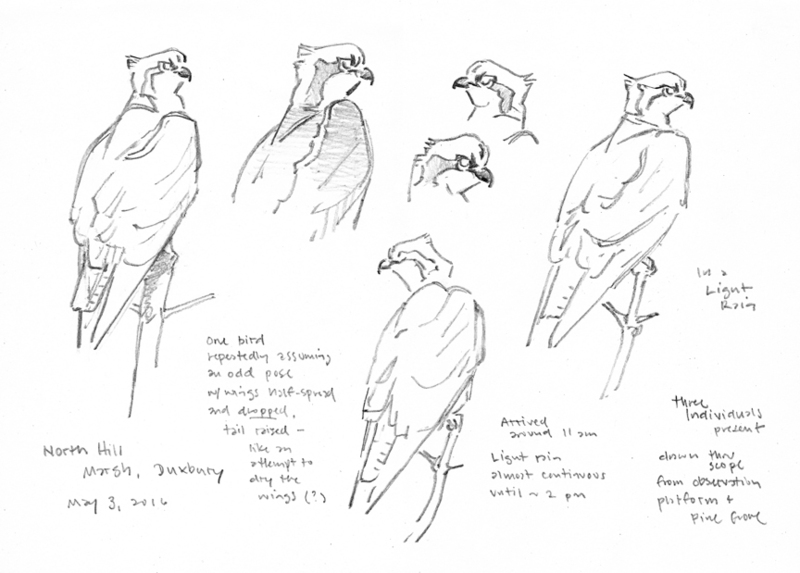 I try some sketching anyway – lowering my scope and leaning over my sketchbook to shield the paper with my body. Even then, I need to blot the page repeatedly with a paper towel to keep it dry enough to take the graphite. I get a page of sketches done this way, then head up the shore. 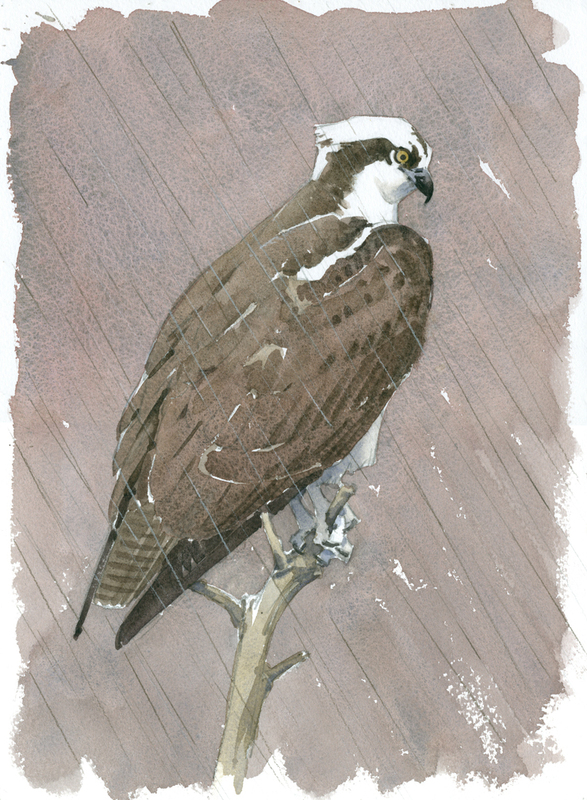 Later, in the studio, I paint “Osprey in the Rain”. I’m not sure how to convey the falling rain, so I experiment with some colored pencils on scrap paper. A combination of light gray and dark gray pencils seems to work best. This entry was posted in Artists, Barry Van Dusen Residency, News and tagged Duxbury, Osprey, palm warbler, Pencil, Watercolor on June 16, 2016 by Barry V.. Thanks so much for the technical note! Will you be offering a field class for watercolorists anytime this summer? Thanks for the comment, we will be having a workshop with Barry in September at the Museum of American Bird Art at Mass Audubon, in Canton. Stay tuned for details.